No new technique here, this one uses a new SU set called Just Buzzin By, it has the cutest little bees in it! 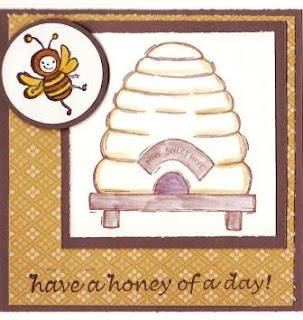 This one is a 4x4 square card, the background is SU designer paper. Used a blender pen to colour in the hive and markers on the bumble bee.